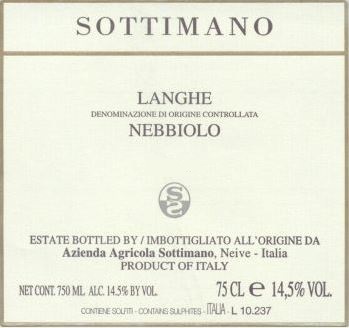 The Langhe Nebbiolo is produced from the Basarin vineyard in Neive which is on the border with Treiso. This terroir and the high altitude of the vineyard give the wine notes of spices and a hint of licorice, as well a great complexity and considerable structure. The vines are young, about 15 years old, and for this reason, Sottimano chooses to declassify what could be a Barbaresco into Langhe Nebbiolo. For him, the grapes of the young vines cannot yet express the richness of polyphenols or all the aromas and the nuances that an important cru like this will eventually show. Andrea also likes to tell the story of his early trips to Burgundy, when the village level wines were (more) affordable; his inspiration for the Langhe Nebbiolo is just that: it’s his less expensive version of his Barbaresco: Barbaresco Village (of Neive), if you will! The fermentation and the maceration on the skins lasts about 25 days. 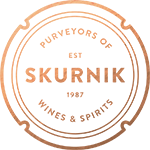 No selected yeasts are used. The malolactic fermentation happens in French barrels coopered expressively for the estate by Francois Frères in Burgundy. The wine stays in these barrels for approximately 14-16 months, half of this time on its lees. 15% of the barrels used for aging this wine are new, the remaining 85% have previously been used up to 4 times. There is no filtering and no fining prior to bottling.